Awhile ago I posted about how I believe the new logo for the republican party should be of some kind of Crocodilia. The reason is because I would watch those involved with the party mindless attack everyone, while seemingly eating their own. Found it kind of disturbing. From watching many republicans in congress keep taking the side of Trump, despite all the stupidly he is taking part of that I keep seeing almost everyday, and so few are actually speaking out against it. If you ask me, they are spineless. 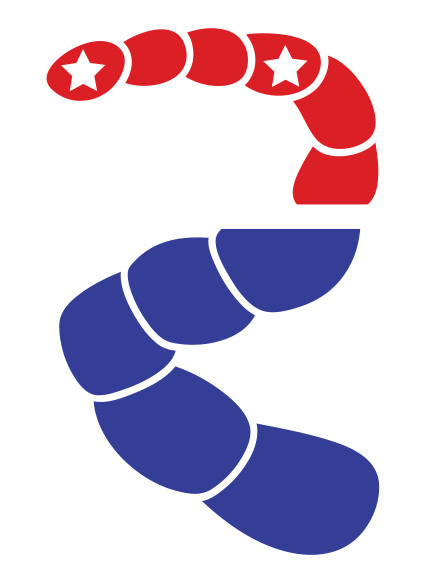 Which comes to why I believe now the logo for the party should be that of, a tapeworm, because no one likes it, and don’t nothing but feed off it’s host.